(Francisco Kjolseth | The Salt Lake Tribune) Last year the Utah Legislature eased restrictions on restaurant barriers, aka Zion Curtains, leading establishments to make changes. But now HB442 is creating new headaches for establishments, like the Cliff Dining Pub in Draper, that have a bar and a liquor-serving restaurants in the same building. Their open floor plan makes it difficult to appease to the ever changing law. (Francisco Kjolseth | The Salt Lake Tribune) Last year the Utah Legislature eased restrictions on restaurant barriers, aka Zion Curtains, leading establishments to make changes. But now HB442 is creating new headaches for establishments, like the Cliff Dining Pub in Draper, that have a bar and a liquor-serving restaurants in the same building. Their open floor plan makes it difficult to appease to the ever changing law. (Francisco Kjolseth | The Salt Lake Tribune) Last year the Utah Legislature eased restrictions on restaurant barriers, aka Zion Curtains, leading establishments to make changes. But now HB442 is creating new headaches for establishments, like the Cliff Dining Pub in Draper, that have a bar and a liquor-serving restaurants in the same building. Their open floor plan makes it difficult to appease to the ever changing law. (Francisco Kjolseth | The Salt Lake Tribune) Last year the Utah Legislature eased restrictions on restaurant barriers, aka Zion Curtains, leading establishments to make changes. But now HB442 is creating new headaches for establishments, like the Cliff Dining Pub in Draper, that have a bar and a liquor-serving restaurants in the same building. Their open floor plan makes it difficult to appease to the ever changing law. (Francisco Kjolseth | The Salt Lake Tribune) Last year the Utah Legislature eased restrictions on restaurant barriers, aka Zion Curtains, leading establishments to make changes. But now HB442 is creating new headaches for establishments, like the Cliff Dining Pub in Draper, that have a bar and a liquor-serving restaurants in the same building. Their open floor plan that currently includes a clear glass wall at right, makes it difficult to appease to the ever changing law. (Francisco Kjolseth | The Salt Lake Tribune) Last year the Utah Legislature eased restrictions on restaurant barriers, aka Zion Curtains, leading establishments to make changes. But now HB442 is creating new headaches for establishments, like the Cliff Dining Pub in Draper, that have a bar and a liquor-serving restaurants in the same building. Their open floor plan makes it difficult to appease to the ever changing law. (Francisco Kjolseth | The Salt Lake Tribune) Last year the Utah Legislature eased restrictions on restaurant barriers, aka Zion Curtains, leading establishments to make changes. But now HB442 is creating new headaches for establishments, like the Cliff Dining Pub in Draper, that have a bar and a liquor-serving restaurants in the same building. Their open floor plan makes it difficult to appease to the ever changing law. What is a room? Does a room have shared walls that run floor to ceiling? Do the walls have to be solid or can they be translucent glass? Does a room have a separate entrance? Can it have windows? These are the questions officials with the Utah Department of Alcoholic Beverage Control are pondering, having moved beyond the controversial restaurant barrier — aka Zion Curtain — law. One thing is certain: The answers to these “only-in-Utah” alcohol questions could make or break liquor-serving businesses in Utah. The Utah Legislature eased restrictions last year on the 7-foot-high restaurant barriers designed to hide the mixing and pouring of alcoholic drinks from children. But 10 months after its passage, the 2017 liquor-reform law is creating headaches for a new set of liquor-serving businesses — those that have a bar and a restaurant in the same building. Businesses with these multiple or “dual” liquor licenses will have to meet new room requirements to ensure that the two serving areas are clearly separate, said Terry Wood, spokesman for the DABC. “Some of these business with dual licenses will need to make major modifications,” he said. On Tuesday, the state liquor commission approved a tentative rule on the issue. The public will have 30 days to comment on the proposal at the Office of Administrative Rules website at https://rules.utah.gov/, beginning Feb. 15. In March, the board will decide whether to approve the rule as is, amend it or — if the issues is addressed during the current legislative session — scrap it, said Nina McDermott, DABC’s director of compliance. • Shared permanent walls may extend partially or fully from floor to ceiling, but partial walls must be at least 8 feet high. • Shared permanent walls may be translucent and include windows and doors as long as patrons cannot see the actual bar structure, including the shelves and liquor bottles behind the bar. (It’s OK if tables, chairs and decor are visible). • Patrons cannot pass through the bar or tavern to get to the restaurant or a bathroom. Any business that can meet the new rules will be able to have dual liquor licenses from the DABC. But Salt Lake City attorney Tanner Lenart, who specializes in alcohol licensing issues, believes the restrictions may go too far. During Tuesday’s hearing, representatives of restaurants, bars, hotels and even ski resorts said they have been negatively affected by the recent liquor law changes. They asked that the DABC’s new room rule take into consideration the cost for businesses as well as the building size and shape. 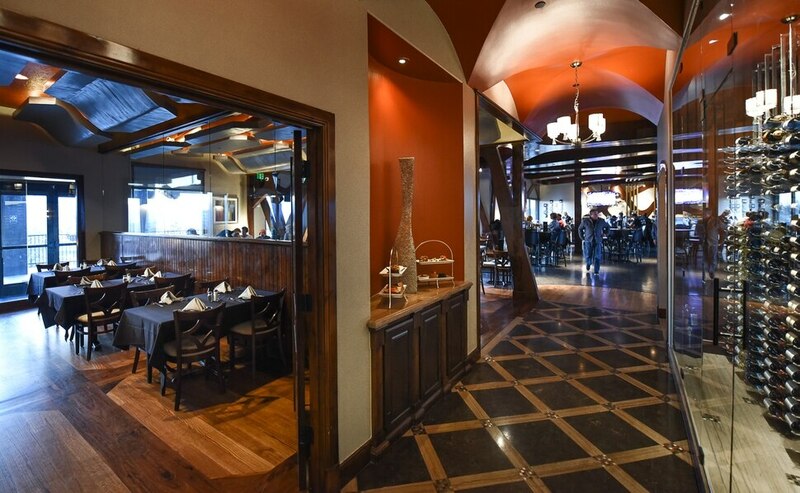 “Some floor plans will make it impossible to implement this rule,” said Lincoln Shurtz, who represents the Salt Lake Area Restaurant Association. One example are the buildings at Snowbird Ski & Summer Resort, which are long and narrow for avalanche safety purposes, said Susie Cohen, with the resort. The restaurant, the bar and the kitchen are “lined up like cars on the train,” she said. Putting walls and doors between each area is a safety hazard for employees. Cliff Dining Pub is another restaurant affected by the change. The dining room has an open layout, which makes meeting new room requirements tricky, said Moler-Lewis. A glass wall now separates the bar from the dining club area, where minors are allowed if accompanied by a parent. 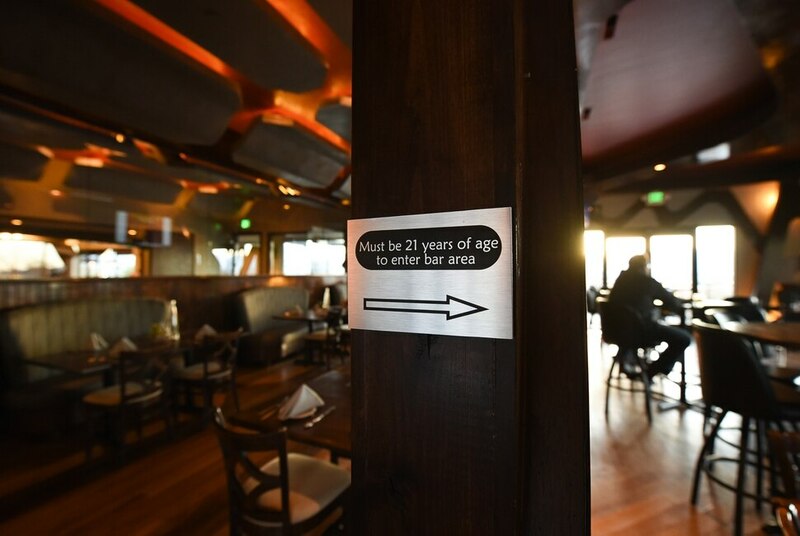 Under the current proposal, Cliff Dining would have to replace the clear glass with something translucent to keep its dual liquor licenses, Moler-Lewis said. The situation is further complicated because HB442 did away with dining club and social club licenses and created a single bar license. 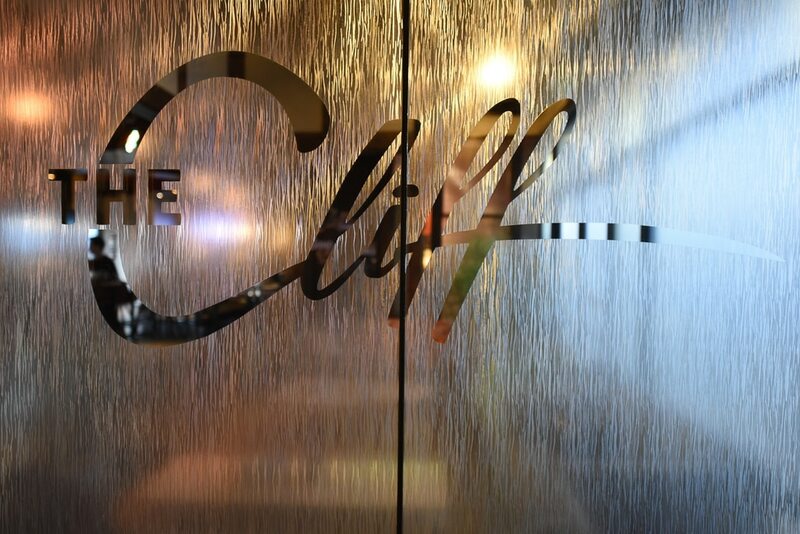 Dining clubs such as Cliff Dining Pub have until July 1 to decide if they want to switch to being bars. That’s something the owners don’t want to do. But if Cliff Dining is forced to become a full-service restaurant, it would have a difficult time meeting the state requirement that at least 70 percent of sales must be food and only 30 percent can come from liquor, Moler-Lewis said. From a financial standpoint, the new law may, by default, create more bars, “and I don’t think that’s what they want,” she said.